crossing on the Queen Mary in the early 1950's with my Mom and sister as we traveled to England to visit my Mom's family. 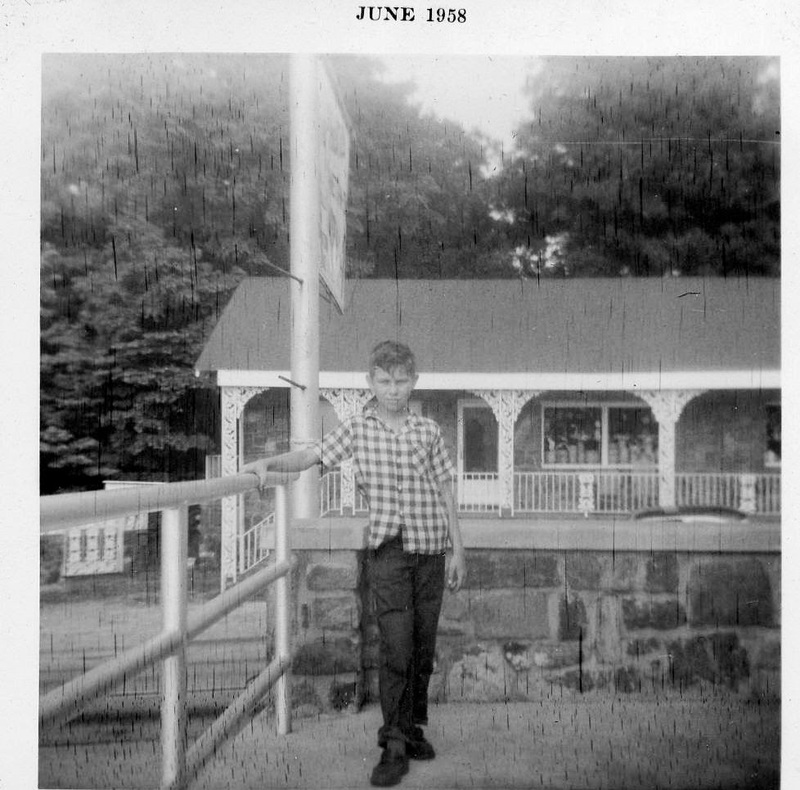 Then there were the many "road trip" vacations with my aunt and uncle (Edna Mae & Raymond Grace). These no doubt contributed to that spirit of wanderlust. However, I suspect the fact that our family moved so frequently may have made a contribution as well. Seems my Dad's job required us to move from one town to another as he set up service departments for General Motors Corporation. We lived for a short while in nearly every community in southeast Texas and a few in west Texas. Since those early days God has opened the doors so that I have traveled the world and have developed friendships with people around the planet. From Australia to England to Japan; From Israel, Egypt, Turkey and Greece; From Central America and the Caribbean as well as a lot of places in between, I have seen the world. I have stood in places and seen sites that most people only read and dream about. As a result of all that moving and traveling I came to see travel as a life journey which offered me wonderful sights to see and even more wonderful people to meet. Augustine of Hippo is absolutely right when he said, "The world is a book and those who do not travel read only one page." I want to at least take a peek at every page. In many ways the world is my oyster . . . within limits I have the ability and the freedom to go and do exactly what I choose. I choose to experience as much of this world as I can in whatever time I have. I have discovered that travel enriches my life through its great life lessons in human relationships with a lot of great scenery and wonderful experiences as side benefits. I don't care if you're a leisure traveler or an adventure traveler . . . . travel will enrich your life. I have also found that travel is far better with a companion than alone. A good travel partner is like a good marriage partner . . . the difficulties are easier to bear and the joyous times are amplified through the shared experiences along the way. I have people when they see on Facebook where I am and what I am doing say, "I wish I had your life." I often reply, "Believe me, you don't want my life. What you want is a richer life experience than you now have and the wonderful thing is, you can have it." Sometimes they will complain that they can never afford to go to the places I have been and that may well be true of some. But even those can take a road trip to a nearby site or adventure. Among my most treasured moments is the hour my wife and I spent on a scenic overlook just out of Bastrop, Texas that thousands of people living their harried and hurried lives drive by each day. It was where we shared a terrific panoramic view, some tasty homemade sandwiches and few quiet moments together. However, for most the reason they don't travel is not really a matter of cost but of intention and planning. Most of us can have it if you plan for it. You may not read the whole book but at least you can read a few chapters. If money is tight here is what I suggest . . . Decide where you want to go and what you want to do. In short create your own dream trip. It might be a cruise, an island resort, a ski trip, or just to watch your favorite baseball team play a series of games on the road. The point is begin by planning what kind of trip you want to have. Find a photo of the kind of place to which you want to travel. Get a refrigerator magnet and put it on your 'frig. Start telling friends about your dream vacation. Ask them questions like, "If you could go anywhere in the world where would it be? Or, "what would you do if money were not a consideration?" Let them answer and then share your dream trip. Set the date you want to travel. Develop a plan to raise the money. I remember my mother wanting to go to England and so she began saving a few dollars, and I mean a few hard earned dollars, a week. She took that trip not once but several times that way. I have come to learn through travel that what Mark Twain said in his book Innocents Abroad, about travel. He stated: "Travel is fatal to prejudice, bigotry, and narrow-mindedness, and many of our people need it sorely on these accounts. Broad, wholesome, charitable views of men and things cannot be acquired by vegetating in one little corner of the earth all one’s lifetime.” Travel will make you a better person or expose you for the person you really are. So get up and go somewhere . . . remember, you are not just accumulating miles of travel you are making memories for a lifetime. Let's make some memories together. 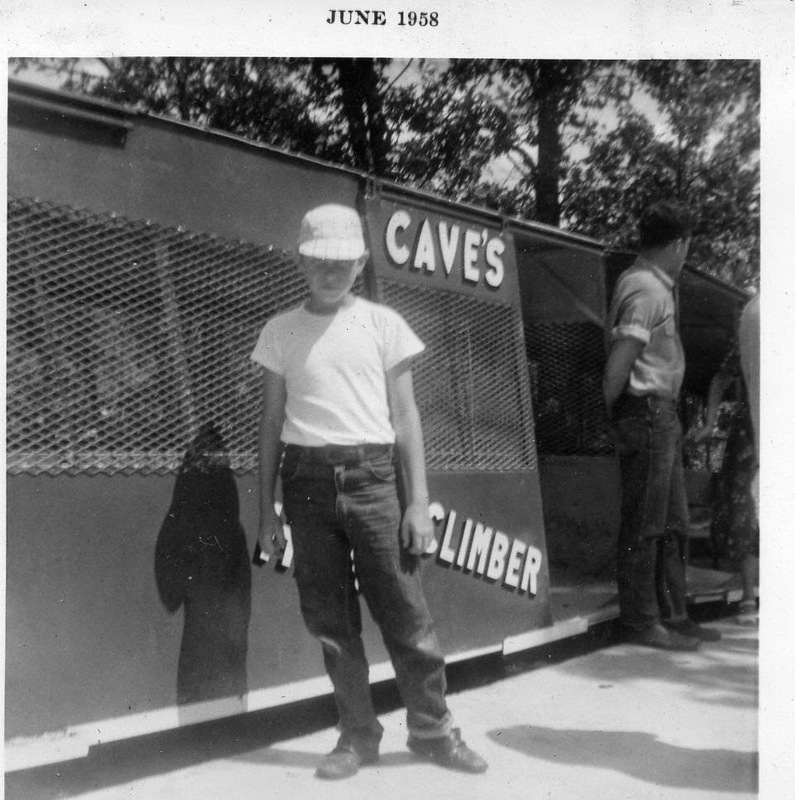 Planning a Vacation used to be a big part of the fun of going on a vacation. Now it is a real pain unless you get the help of a Travel Consultant or Agent. 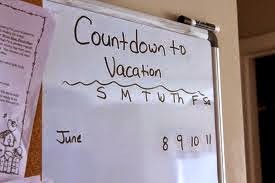 vacations at every level, whether it is a family road trip or a trip to far away places with strange sounding names. I think in the past I have mentioned in these pages that my first cruise ever was on the Queen Mary and all that was involved with a Cunard sailing. In fact, it was a round trip transatlantic crossing. Two years later I would do it again. From my earliest days I experienced "cruising" where the service was superb and you never had to ask "How much?" I also remember when I first started flying how impressed I was that we were dressed to the "nines" for their flight and our meal was served "piping hot" on real plates with real silverware and included a glass of wine in addition to any other drink you were having. We got all that and no extra charges. Oh yea, that was in coach (now called economy). So, early in my travel life whether you were on a transatlantic crossing or a long flight when you bought your ticket you got not only transportation but you received a kind of all-inclusive travel experience as well. In fact, we actually looked forward to our trips from the day we bought the ticket. There was no anxiety, other than our own phobias (fear of flying or water etc.) as we anticipated out trip or vacation. Then the airlines began to be run, not by the visionaries who started them, but by functionaries who knew little or nothing about flying. They were corporate types not interested in building a great airline but building a flying empire. They even take credit for saving the airlines which as accountants they did on the backs of the creditors through a series of bankruptcies. 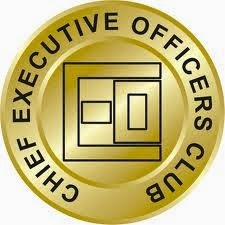 Somewhere through all that flying went from being a passion of its C-executives (CEO, CFO, COO etc.) gave way to C-executives for whom they are simply a channel through which they would build an ever more profitable business that allowed them to advance their personal corporate prestige and create stockholder wealth. Their exuberance in this area knows no bounds. As a result they have not only done away with the amenities mentioned in paragraph two as cost cutting measures but they have been charging for virtually everything but the air we breathe on a flight. So much so that 2013 was the most profitable year in the history of the airline industry. and fully one half of that profit (a whopping 4 billion dollars) came from what they call "ancillary fees," Seems to me the leisure traveler is caring the airline industry on their backs. So let me ask, "Do you look forward to having to fly?" I can't begin to ell you how many times a potential cruise client has opted to do something else because of not only the cost of flying but the hassle involved. I myself turned down a 15 day Mediterranean cruise because the airfare was going to cost more than the value of the cruise. I had a wealthy client cancel a cruise on principle because he in good conscious could not spend more for airfare than he did for the virtually all inclusive cruise he had booked. Fortunately for me he was a man of integrity and made us whole financially for the work we had done on his behalf. Essentially he paid us to not take the vacation. I know this is all now ancient history regarding the airlines and trust me, it isn't going to change for the better any time soon. However, it is also becoming the standard for the cruise industry. With the advent of Carnival Cruise Line in 1962 and Micky Arison's vision of putting cruising in reach of the average person. His idea of a low cost cruise (paralleling the beginning of "low cost" airlines) that had affordable fares and everything else you had paid extra. Soon what we might call the "legacy" cruise lines began to cut corners. 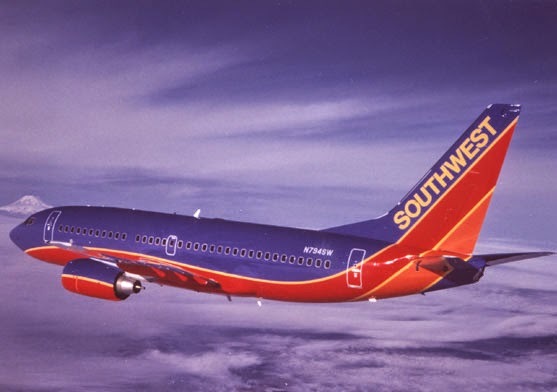 They didn't particularly lower prices but they did begin the process of "nickel and diming" passengers for all the little "extras" that once were included in the ticket price. Now they have added the idea of "charging extra to let you eat in a smaller room that requires a reservation. Now, Royal Caribbean is suggesting that maybe passengers should pay for entertainment some of which is going to be on big screens and not in person. Carnival, again is the one who started this with their recent Carnival Live series. When I first started selling cruises just 15 hears ago the cruise lines stressed their separate branding and the distinctive nature of their individual cruise experiences. We were told to compare them to an all-inclusive resort vacation and show how they a better value. I think the expression one of my Reps used was, show them that they are getting more "bang for their buck." Now I have to advise clients to expect out of pocket expenses on their cruise to be at least equal to the cost of their ticket. Well, Dorothy were not in Kansas anymore. 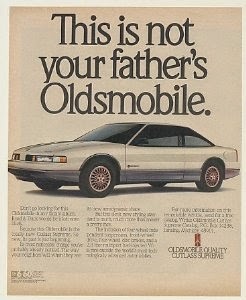 Or as William Shatner used to say, "This isn't your father's Oldsmobile." In fact, in 2004, a brand that had been around since 1897 (107 years) is now a relic of the past. Flying isn't what it once was and cruising is fast becoming something other than a pleasant experience. The "Golden Age of Cruising" is past unless you mean the gold going into the cruise line bank accounts. Truth is, cruise ships are becoming resort destinations where you pay to play. This brings me to my recommendation. Fly if you must. Take a cruise when you can. But when it comes to a major vacation take a look at the all-inclusive resort hotels. They offer everything that a cruise offers and the final price tag is about the same. I just returned from the Riviera Maya and a week at Karisma's Generations resort. I was greeted with champagne; I was escorted to my suite; I had great food (gourmet) at no extra charge in my choice of five of more six restaurants; I had butler service, a great beach, my own private plunge pool cool entertainment. Best of all when I checked out I got the same royal treatment as when I checked in and no account to settle up before leaving. There is so much to do and see. I also could spend a day shopping, a day at the Talum Mayan ruins, eco-parks and a hundred other things. So before you swipe that credit card take a look at this alternative to a cruise. Let's see if an all-inclusive isn't more what you want.